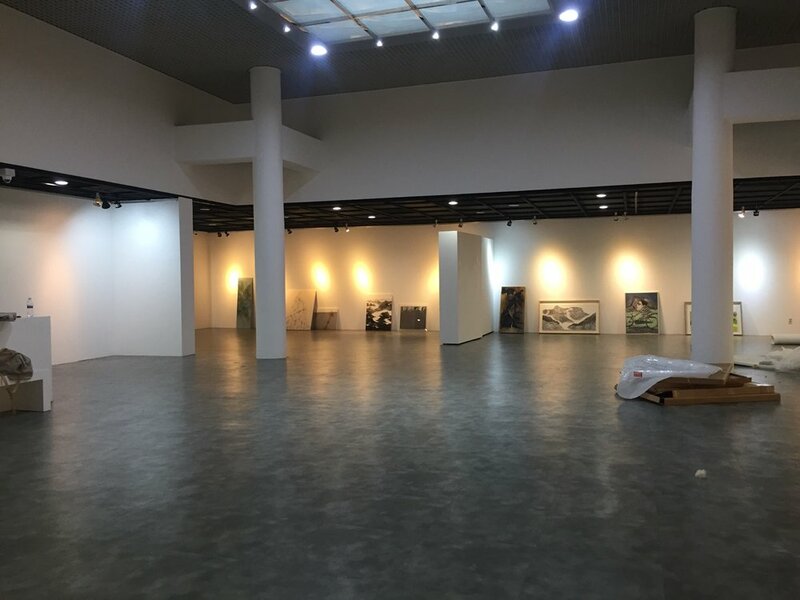 Installing 69 works in one day was quite intense. 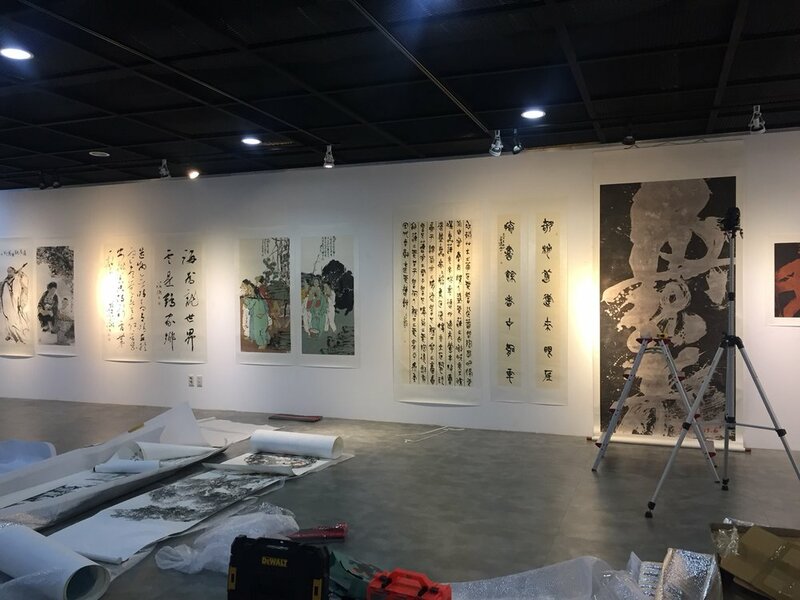 Hanging Hu Zi Gui’s huge painting from top to bottom! Seeing how this arrangement works out..
A few audiences walking by the art center visited the gallery.